Let me introduce to you a beautiful, NOS, vintage compressor style diver that has just the right amount of pure class. 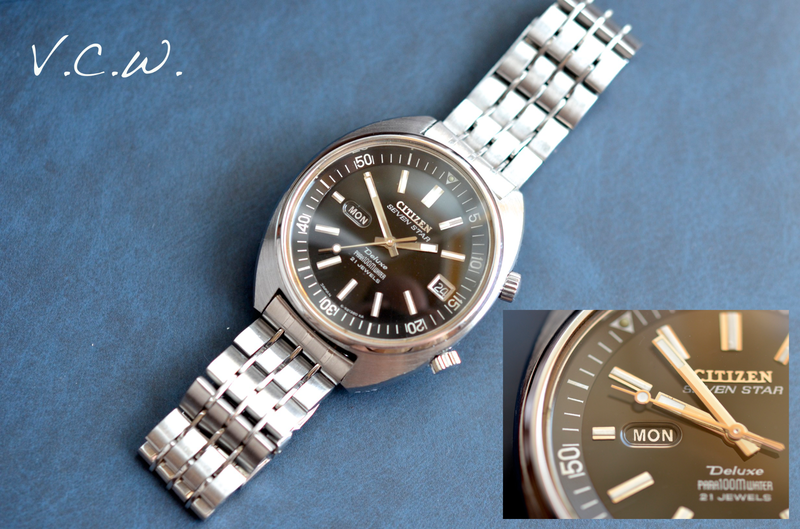 NOS means New Old Stock – a watch that was not worn and it is in excelent condition after all this time (45 years old). Just like the other compressor diver I have presented here : https://vintagecitizenwatches.com/2014/01/18/vintage-citizen-compressor-diver-4-520343-y/, this one is also made in 1969. By contrast, this one has a more classy, elegant appearance. The dial is dark-deep black, very simple but not simplistic at all. Under magnification one can see that a lot of attention was placed into details. The writing is white, also on the black date and the black day wheels. The date is on 3 o clock inside a polished frame and the day is at 9 inside an oval, carefully made window. The only tint of color is the lettering for Sunday. The inner rotating bezel is also black with white writing. The hour markers are applied with luminous material in the center. The hands are also polished, faceted with luminous material as well. The movement is the usual automatic Citizen calibre 5270, with 21 jewels. The calibre number is engraved, as usual, under the balance wheel. It is winded by a black rotor that compliments the dial on the other side in a fortunate manner. It is a common movement used in a variety of models, not only divers making it rather easy to repair with available parts. It is reliable and offers hand winding possibility. The date changes in the second position of the winding crown (first position for winding, third for time setting) but the day changes only by passing midnight with the hands. The corespondent crown for the movement is the one at 4 o ‘clock. The bracelet is nothing less than a piece of art. I think this is my favorite Citizen design. It is made in solid steel, three thin polished connectors and brushed large links. It doesn’t get better than this! It has a pleasant tactile feel and a nice weight. One more thing that can not be described into words is the sound of the links touching each other… pure music. The clasp is the usual type, signed Citizen. Al things considered, this is the best diver for a gentleman, ready to be worn at the beach or with a suit during a corporate meeting. Decent water resistance (nor really made for submerging, but good enough for daily jobs) and understated elegance placed together for one of the best Vintage Citizen All-rounder. 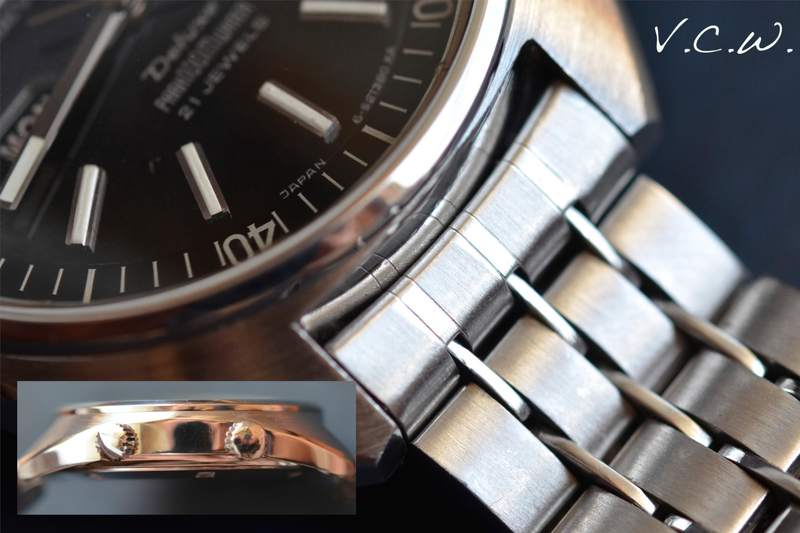 This entry was posted in automatic, Citizen date, Citizen diver, day-date, parashock, parawater, Uncategorized, vintage Citizen and tagged 21 jewels, 4-520017Y, automatic, Brushed metal, citizen 21 jewels, Citizen 4-520017Y, citizen 5270, citizen automatic 5270, Citizen calibre, citizen compressor, citizen day date, Citizen diver, citizen diver compressor, Citizen Seven Star, compressor, gentleman diver, para water citizen, para100mwater, parashock, parawater, Seven Star, Seven Star 4-520017Y, seven star deluxe, solid links bracelet, vintage citizen watch, vintage dive watch, vintage diving, water resistant 100m, Waterproofing. Bookmark the permalink. And if it is how much? Well… now it is for sale. 🙂 Are you still interested? Eric, It was available in January, when I left the comment but it sold really quickly. Sorry for this. 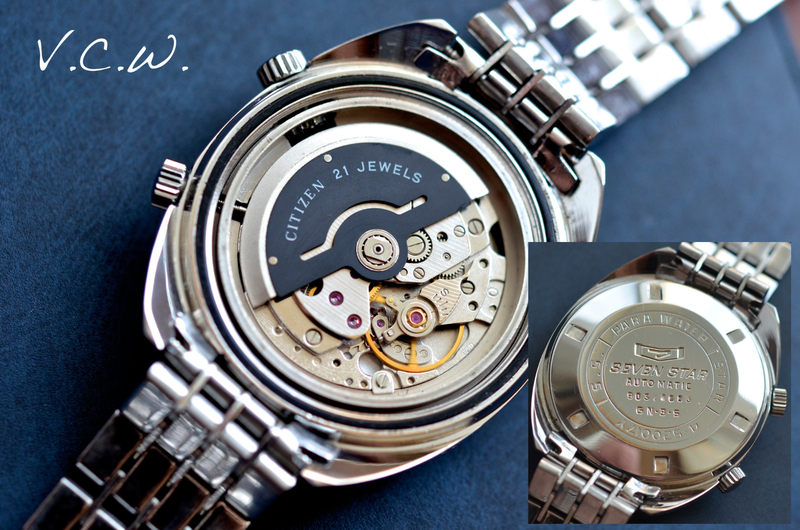 Take a look at my other Vintage Citizen Watches I still have for sale on the “For sale” page. I have this watch,can you tell me ho much i sale this watch.